Do you love the handling of your mid-engine 981 Cayman or Boxster but long for real power? TPC Racing has just the package for you. Based upon our wildly successful turbo kits for the 987 platform, we are proud to release our TPC Racing 981 Cayman/Boxster Turbo Kit. Boosting the performance of your 981 by over 100 horsepower at the wheels and 100+ ft-lbs of torque, the TPC Racing 981 Turbo Kit provides drives with a huge increase in performance. Available for both "S" and "non-S" vehicles is the perfect way to add power to your 981! Maintaining our philosophy on developing manufacturer-like turbo systems in order to preserve reliability and longevity of your engine, the TPC Racing 981 Turbo Kit runs a very conservative 4psi of boost. The system features a 100% bolt-on installation with no need to modify any of your engine's internals. As always, the kit includes an ECU tune by developer and engineer, Mike Levitas, so no additional tuning systems are required. *Note* Pictures shown of silicone and piping may differ from actual product photo shown. 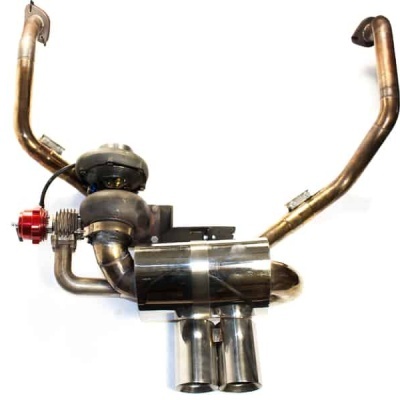 Looking to get additional horsepower for your 981 or GT4? 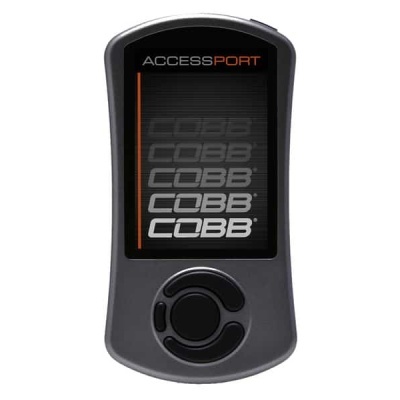 With the Cobb Accessport look to gain with the TPC Racing Stage 1 tune! For some time now 987 Gen 2 Cayman and Boxster owners have longed for the power and capabilities that were offered to 987 Gen 1 owners via TPC Racing's Turbocharging kits. That wait is now OVER! Gen 2 owners, this one's for you! With over two years of R&D, the TPC Racing 987.2 Turbo Kit for the 6-Speed 3.4L DFI Cayman/Boxster has finally arrived. Producing a whopping 450HP*, the TPC Racing 987.2 Stage 2 Turbo has a broad power band with smooth and constant power delivery. With many TPC Racing 987.2 Stage 2 Turbo Kits installed, and thousands of street and track miles already logged, now is your chance to join the ever growing number of 987.2 owners enjoying the boosted performance of 450HP*! 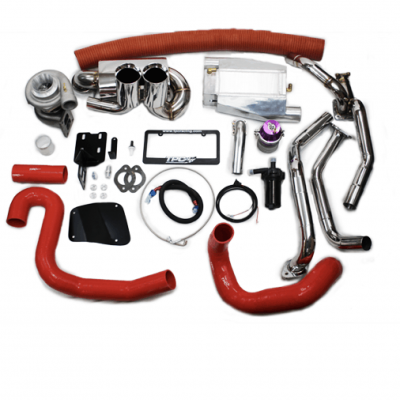 TPC Racing's MOST POPULAR turbo kit for the 987 Cayman/Boxster will provide drivers with up to 460HP of shear exhilaration! In our quest for better performance from our TPC Racing Cayman/Boxster Turbo vehicles, we realized the one weak spot, would be with the factory clutch. While the OEM units will last for many miles under normal street driving conditions, under high performance conditions, the OEM clutch will begin to prematurely wear and eventually slip. This is why we decided to create a complete upgrade system that includes a Lightweight Flywheel as well as an upgraded clutch. The TPC Racing Pro Series Lightweight Flywheel is machined out of T-6061 aircraft-grade aluminum. Weighing in at only 12.5lbs, the Pro Series Lightweight Flywheel weighs half af much as the OEM unit. This reduced mass will allow the motor to accelerate/decelerate more freely, producing much snappier engine responsiveness, and easier rev-matching on downshifts. 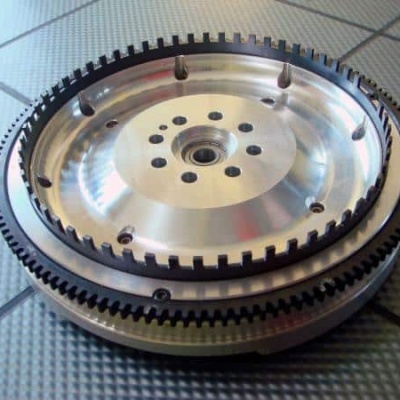 This flywheel has been specially designed to mate to a Porsche X51 Clutch assembly. This package provides the driver with the improved performance of a lightweight flywheel, and the increased clamping power of the X51 Clutch/Disc. However, with this extra clamping force does not come a dramatically heavier pedal. While pedal force is increased slightly, it is still no more than you would expect from a Porsche street car. When installed in conjunction with the TPC Racing Turbo Kit, the driver will find that they are into boost even faster, and the RPMs will build even more quickly, really turning the Cayman into a whole different animal. This combination has been proven to hold 500whp.